Southern Cottage Girl: I Love This Indiana State Pillow! 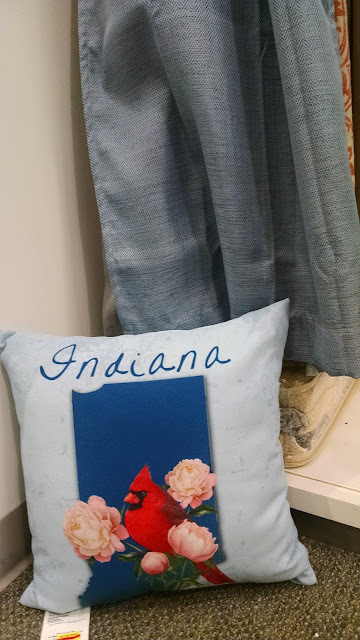 I Love This Indiana State Pillow! 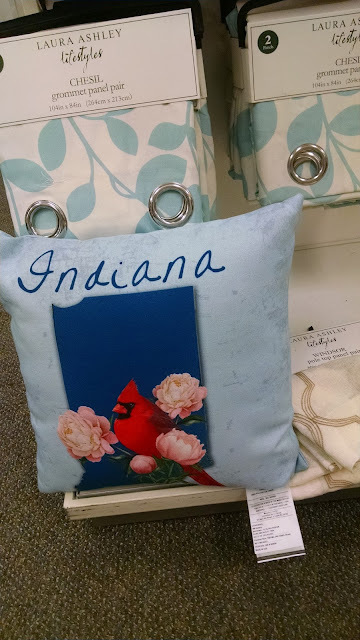 I found this pillow on the clearance aisle at Kohls. 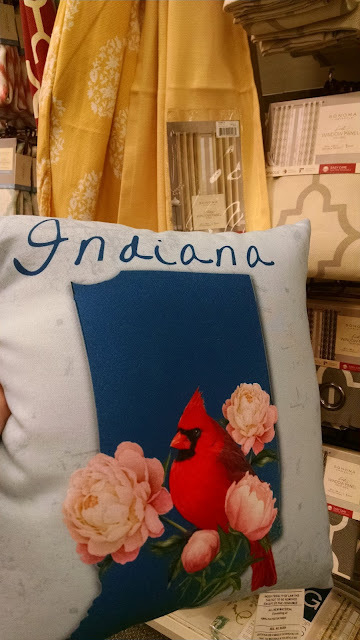 I just have to have it, but I need help matching it up with curtains. What do you think of the yellow? I'm starting to get dizzy. Help. 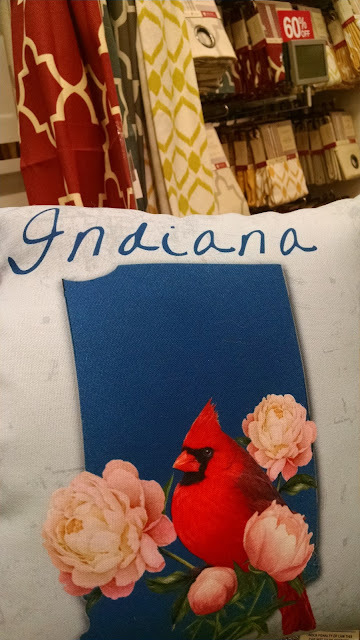 I now believe there is no color on earth that doesn't match the colors in this pillow. Just spending too much time staring at colors, I guess. If you have a preference, please leave me a comment with it. 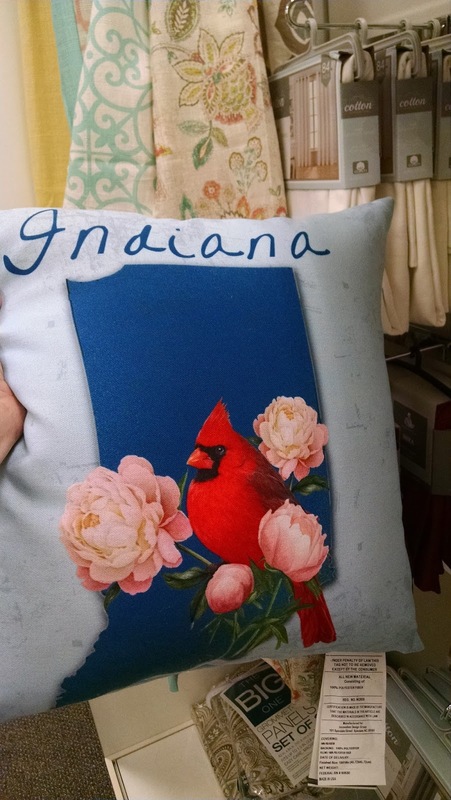 I am in the throes of decision making for the retirement cottage. Thanks. And have a super great wonderful day. Love ya.